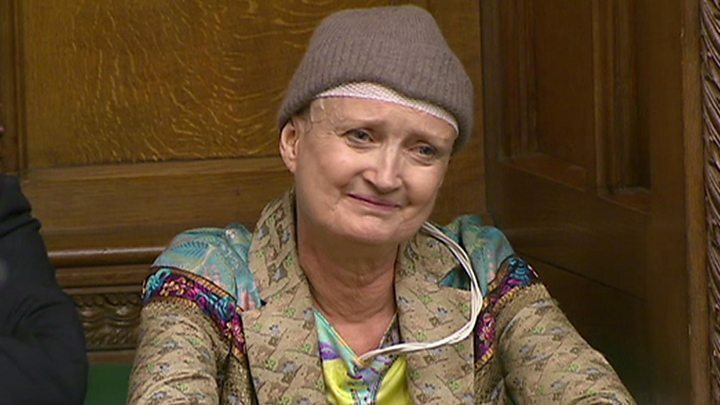 Tributes have poured in from across the political spectrum for ex-Labour cabinet minister Tessa Jowell, who has died aged 70. 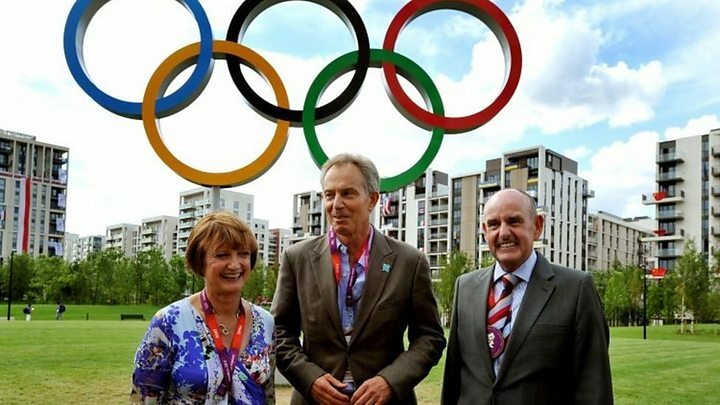 Baroness Jowell, who played a key role in securing the 2012 London Olympics, was diagnosed with brain cancer in May last year and died on Saturday. Ex-PM Tony Blair said she left an "enormous" legacy as "everything she touched turned to gold in some way". He and others praised the campaigning she did for more NHS cancer treatments. Simon Stevens, the chief executive of NHS England, said she was a "remarkable woman" who had sounded a "national call to arms" about the need to spend more on researching the causes of brain cancer. "She leaves a deep legacy with the potential to benefit many thousands of other cancer patients long into the future," he said. Lady Jowell earned a minute-long standing ovation in the House of Lords in January for speaking about her condition. Leading the tributes to Lady Jowell, Mr Blair said she was a "committed public servant" who was "always true and loyal and decent and wise". "She knew she was dying and yet she was prepared to give everything she had in order to help people in the future. "If anyone wants to know what politics can achieve they can just look at her life and how she lived it, and how she ended it as a testimony to all that's best in politics." 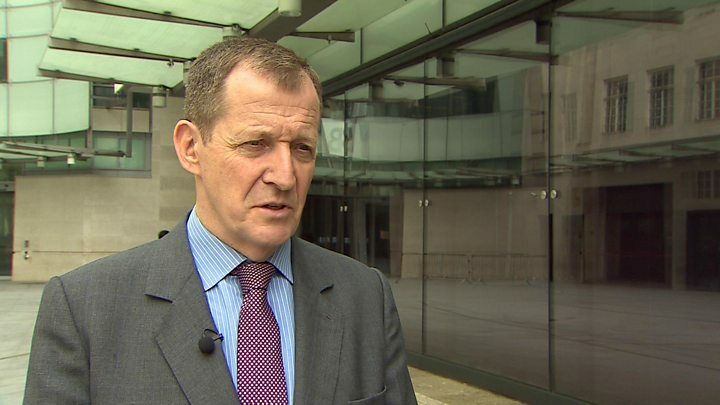 He said her impact on politics was "enormous", adding that "everything she touched turned to gold in some way, whether it was advancing equal pay for women, starting Sure Start - which is an immense programme for children in our country - or of course bringing the Olympics to Britain". 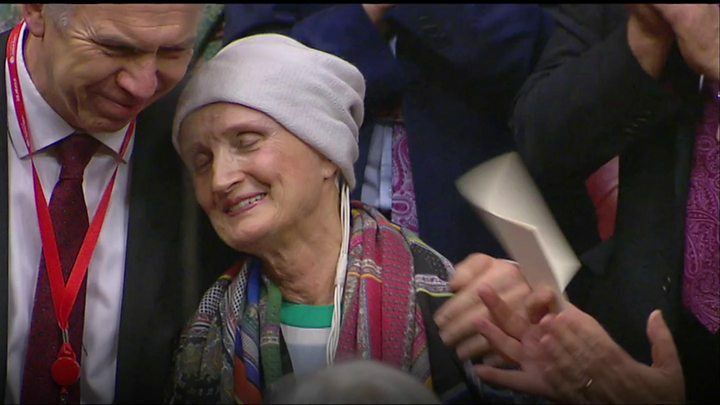 Prime Minister Theresa May said the dignity and courage with which Lady Jowell had confronted her illness was "humbling" and "inspirational", and her campaigning was a "lasting tribute to a lifetime of public service". Former prime minister Gordon Brown said Lady Jowell would be remembered for her "courage, strength and compassion for others". 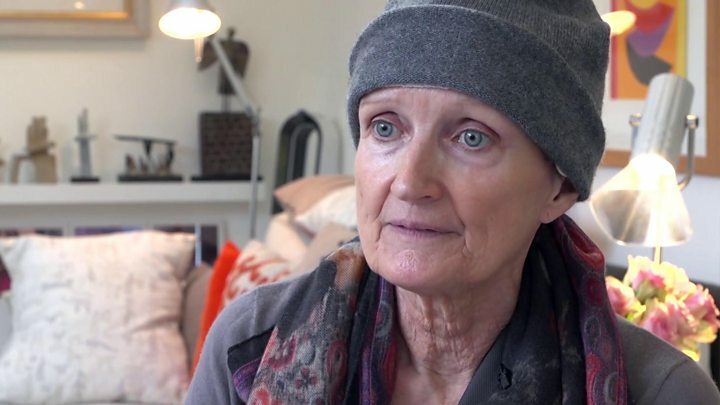 Sarah Lindsell, CEO of the Brain Tumour Charity, said the charity had started working with "wonderful ambassador" Lady Jowell towards the end of last year, and she praised her campaigning for cancer patients. "Despite going through all of that and wanting to spend precious time with her family... she gave up so much of that time to continue to campaign, to ask for change, because it really matters," she told the BBC. Figures from the world of sport praised her involvement as culture secretary in bringing the Olympic Games to London. 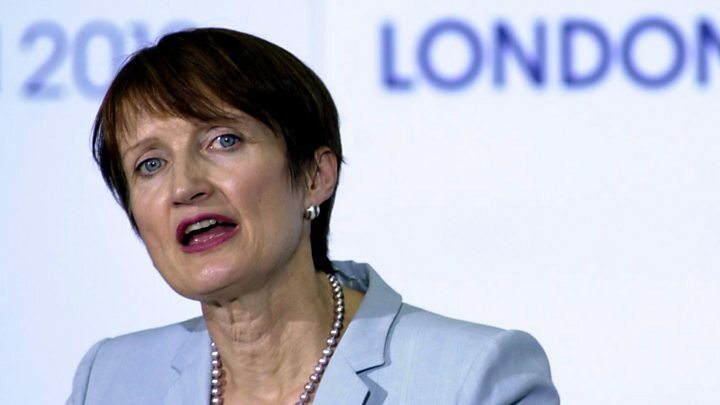 Lord Sebastian Coe, president of the IAAF and former chairman of the London organising committee of the Olympic Games, said London 2012 would not have happened without Lady Jowell. "She showed unflinching tenacity in persuading the prime minister and the cabinet that the government should throw its full weight behind the bid," he said. Footballer David Beckham, who was an ambassador during the Olympic bid, posted on Instagram that "amazing woman" Lady Jowell "will be missed by so many". Four-time gold medal winning rower Sir Matthew Pinsent also paid tribute to Lady Jowell's determination to bring the Olympic Games to London. Dame Katherine Grainger, the former rower who won an Olympic gold in 2012 and is now chair of UK Sport, said Lady Jowell was "a true believer in the power and inspiration of sport". And Lady Grey-Thompson, the former Paralympian who was in the Lords to hear Lady Jowell's final speech, spoke of her passion for the Paralympics and her "amazing ability to pull people together". "She always talked about the Olympics and Paralympics, it wasn't an afterthought," she told BBC News. "She really drove home the fact that the two games had to be together." Elsewhere, tributes have flooded in from Lady Jowell's colleagues in Westminster. Former acting leader of the Labour Party Harriet Harman said Lady Jowell was "clear and tough", a woman who "followed her personal instinct" and "nurtured personal relationships". Labour leader Jeremy Corbyn praised her "huge achievements" and her "strength in raising awareness of her illness". Wes Streeting, Labour MP for Ilford North - the first seat that Lady Jowell attempted to get elected to in 1978 - said she had been "determined to make a real difference". And other MPs talked about the sadness they felt on hearing of her death. Lady Jowell once said she'd "jump under a bus" for Tony Blair. She was probably only half-joking. However, her loyalty to New Labour was more than simply tactical or careerist. She was pro-European and in favour of a mixed-economy when both were deeply unfashionable on the left. Her belief that Labour should "modernise" was passionately held - forged at the coal face of a decade of Labour local activism. Lady Jowell will be remembered at Westminster as someone who managed to be ideologically committed to her cause without overt sectarian bitterness. Lady Jowell, a former social worker, first stood for Parliament in a 1978 by-election in Ilford North on the Essex-London border. She lost to her Conservative rival and was defeated again the following year. She made it to Westminster in 1992, as MP for Dulwich and West Norwood. In 1997, she was one of the 101 female Labour MPs on the benches following the party's landslide victory. Lady Jowell was employment minister and minister for women, before joining the cabinet as culture secretary in 2001, during which she helped bring the Olympic Games to London.